Confessions of a dance pants addict: Good-bye, 2013! Blowing 2013 a good-bye kiss! Good bye, 2013! You've been a pretty good year for me, and I'm sure I'll look back at you with general fondness. We had some great times together. Sure, there were a few bumps in the road but over all, I think you did right by me. I hope that 2014 takes a page from your book and treats me right. -I went to Tribal Fest and the Las Vegas Bellydance Intensive for the first time. -Vegas was also my first time performing out-of-state! -This was also the first year for the Beat the Heat Retreat down in Bisbee, which was so much fun. -Tons of great performances with my troupe and as a soloist. -Lots of new costumes in my wardrobe! -New dance friends, and good times with old friends too. -I took over co-hosting Open Stage. 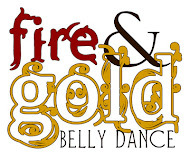 -I started Beauty Blogging for Bellydancers. -I wrote some blog posts that got people talking. -That spiked bracelet in the picture above. I've wanted one for so long! -Added fan veils to my repertoire. I may have started working with them at the end of 2012, but I don't think I performed with them until 2013. -I attended two great weddings! -When my cat got sick in September I was super worried but it turned out to be something easy to manage. -My husband is doing great in school. -I read so many good books. Tons of books! Geez. -I did some beadwork that I'm pretty proud of. But let's face it, it was mostly all about the dance and 2014 is going to be even more of that. Last Troupe Practice of the Year. Open Stage was a success! Open Stage is Around the Corner!